The Reserve Bank of India raised its policy lending rate, the repo rate , by 25 basis points to 8.5%, in line with expectations in a Reuters poll last week. It also revised down its growth forecast for the current fiscal year ending in March to 7.6% from 8% with a downward bias earlier, while sticking with its forecast that headline wholesale price index inflation will ease to 7% at the end of the fiscal year. The likelihood of a rate move at its December review is “relatively low," the central bank said in a statement. “Beyond that, if the inflation trajectory conforms to projections, further rate hikes may not be warranted," it said. 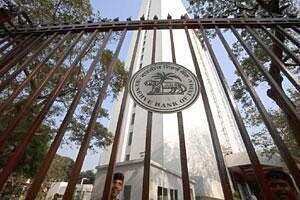 Investors took comfort in the prospect that India’s steady upward rise in interest rates may be at an end. The benchmark 10-year bond yield fell as much as 7 basis points to 8.69% after the policy statement, while the 5-year swap rate fell 10 bps to 8.30%. The main BSE index extended gains to as much as 1.1% before dropping. “Clear direction from the RBI is now in place, that they are not looking at any more increase," Indranil Pan, chief economist at Kotak Mahindra Bank. The RBI under Governor Duvvuri Subbarao has been one of the most aggressive central banks anywhere and has continued to take its fight to inflation even as its global counterparts have refocused monetary policy towards promoting growth. “While the impact of past monetary actions is still unfolding, it is necessary to persist with the anti-inflationary stance," he said in the policy statement. The central bank warned that medium term inflationary risks in Asia’s third-largest economy remain high due to structural imbalances in agriculture, infrastructure bottlenecks, and India’s fiscal deficit. “In the absence of progress on these, over the medium term, the monetary policy stance will have to take into account the risks of inflation surging in response to even a moderate growth recovery," it said. Despite continued policy tightening, inflation in India remains sticky, with the headline wholesale price index up 9.72% annually through September, its 10th straight month above 9% and highest among the Bric grouping of economies that includes Brazil, Russia and China. Meanwhile, India’s economy grew at 7.7% in the June quarter, its weakest in six quarters, while industrial output growth was below 5% in July and August. In last week’s Reuters poll, 17 economists had expected the central bank to raise rates on Tuesday but 13 had expected it to pause, with most respondents expecting rates to remain unchanged after Tuesday for the remainder of the fiscal year through March.